This Bay Area sour ale from Almanac Beer Company is inspired by the agricultural history of the Santa Clara Valley. Long before it became Silicon Valley, it was known as the Valley of The Heart’s Delight, a fertile basin overflowing with fruit orchards. Brewed with foraged apricots, loquats and cherries handpicked by the Garden To Table non-profit, this collaborative beer celebrates and supports their mission to promote urban farming in San Jose. It’s available at multiple outlets throughout the Bay Area. This “ale brewed with apricots, loquats, and cherries and aged in used wine barrels” pours a pale, citrus juice gold with a tight ivory head and some fruit flotsam in the glass. 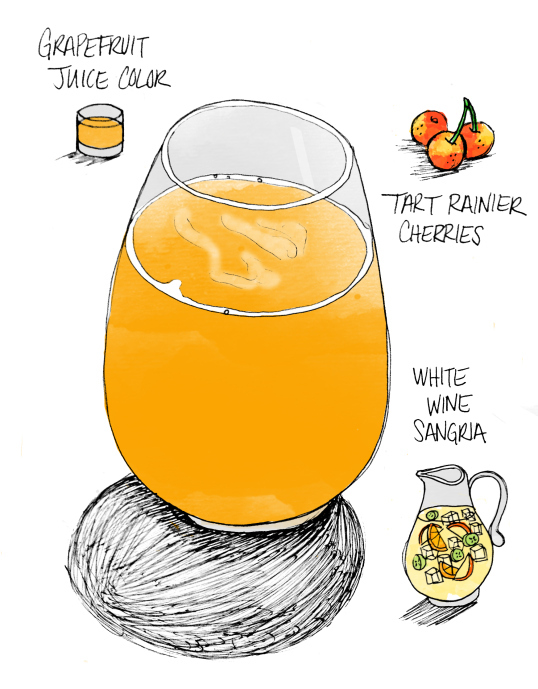 Sour fruit aromas beckon you on the nose, with a fantastic fruit bowl of smells that includes grapefruit, kumquat, kiwi, sour grapes, banana, and even watermelon. Valley of the Hearts Delight offers lovely tart and sour fruit flavors on the first swallow, but it’s refreshing instead of face-puckering. Except for the steady presence of oak tannins, all of the flavors are fruity—pulpy pink grapefruit, sour cherries, assorted juicy berries, lemon zest, kiwi, and guava. This ambitious and brilliant beer hits a wide variety of notes on the palette, and all of them are perfectly in key. 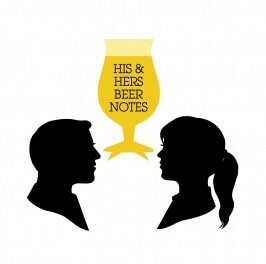 Daniel Barnes and Darcey Barnes have been blogging about craft beer at His & Hers Beer Notes since January 2012. Darcey is a freelance designer and illustrator, and Daniel is a film critic for the Sacramento News and Review and a member of the San Francisco Film Critics Circle. This entry was posted in Drink and tagged beer notes, Drink, His & Hers. Bookmark the permalink.